Gmail allows you to create one signature to automatically appear at the end of each email you send. 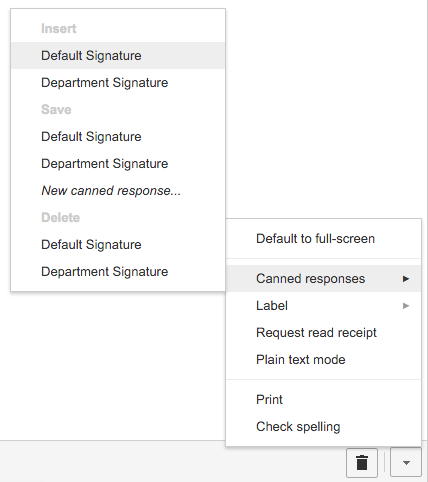 However, you may use multiple signatures by enabling and using the “Canned Responses” Gmail Lab. This lab allows you to save multiple common responses to emails. Simply enable the lab, type and format your signature in a new email, and save it as a canned response to use whenever you want. Log in to Google Mail. 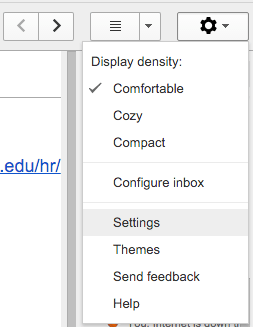 If you are already logged in to G Suite, open Google Mail by clicking the [Mail] tab at the top of the screen. From the top right of the screen, click the gear-shaped Settings A drop-down menu appears. Click Save Changes. You will return to your Mail screen with the lab enabled. From the Mail screen, click Compose. In the body of the email, remove your primary signature. Type what you would like for your signature and format it. 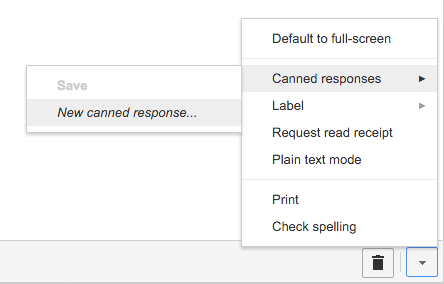 In the dialog box that appears, enter a name for the canned response. Example default signature. Click Disregard to delete the email draft. You do not need to save it for the canned response to be saved. Click Canned responses. A drop-down menu appears. Under Insert, click the canned response that contains the signature. The signature will be added to the email wherever the cursor is.